I own the CD version of this, which just looks like a mini version of the LP, what's up with that pressing and why isn't it listed here? 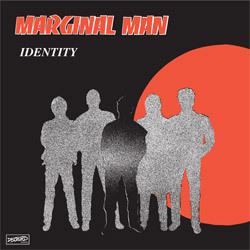 Marginal Man's debut full-length, released in 1984. The 12" EP was re-cut in April 2009 at Chicago Mastering Service and is being re-issued on vinyl for the first time since the mid-80s. The vinyl also comes with a free MP3 download. This release was previously available as a CD with a cardboard sleeve. That version is now out of print.